When several privately held companies refused to repay an investor the start-up funds he had lent to them, James represented the investor in contentious AAA arbitration and second-chaired the hearing that produced a $1.9 million award for his client. When the defendants challenged the award and refused to pay, James played a key role in successfully defending the award, obtaining additional attorneys’ fees for his client, and securing a favorable post-judgment settlement. When a business-partner-turned-competitor trapped a client’s valuable machinery in a warehouse, James litigated claims for replevin, breach of contract, a breach of fiduciary duty, to secure not only the return of the equipment, but also a six-figure settlement for his client. When a Colorado company sought over $600,000 in attorneys’ fees it had incurred litigating an insurance bad faith lawsuit, James played a crucial role in defeating the insurance company’s challenges to the fee petition, establishing the reasonableness of the attorneys’ fees claimed, and securing a judgment for every dollar of attorneys’ fees his client requested. James also understands the value of hard work. He started his legal career as a file clerk nearly a decade ago and has worked his way up through the ranks using his intensity, analytical skill, and attention to detail. He obtained dual degrees from the University of Colorado at Boulder and received his law degree from the University of Denver’s Sturm College of Law where he excelled on the school’s mock trial team and graduated, with honors, in the top 3% of his class. After law school, James served as a judicial law clerk for the Hon. James S. Casebolt on the Colorado Court of Appeals and, prior to joining Ogborn Mihm LLP, worked as an associate at a renowned Denver litigation firm where he represented clients in multi-million dollar disputes. 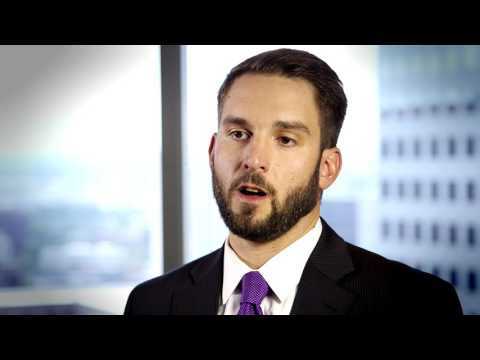 James is a member of the Colorado Trial Lawyers Association, the Colorado Bar Association, and serves as the Chair of the Executive Council for the Denver Bar Association Young Lawyers’ Division. James is a Denver-area native and the son of a trial lawyer and a speech pathologist. When not at work, you will find James spending time with his wife, Becca, fly-fishing a mountain stream with his dog, Gus, or searching for his golf ball. Co-Author, with McClenahan, P., Chapter 8.7, “Lawyer Disqualification,” in LAWYER’S PROFESSIONAL LIABILITY IN COLORADO, 2017 Ed. (Michael T. Mihm ed., CLE in Colorado, Inc.). Speaker, “Disqualification of Counsel,” CLE in Colorado, Inc. (February 2017). James currently serves on the Denver Bar Association’s Board of Trustees and as the Chair of the Denver Bar Association Young Lawyers’ Division’s Executive Council, a committee dedicated to the professional development and advancement of law students and recently admitted attorneys in the greater Denver metro area. As an avid fly-fisherman, James volunteers his time to Project Healing Waters, a program dedicated to getting injured military service personnel on the water as a part of their rehabilitative process.